A loan of $325 helped to stock more clothes to increase what is available to sell to clients. 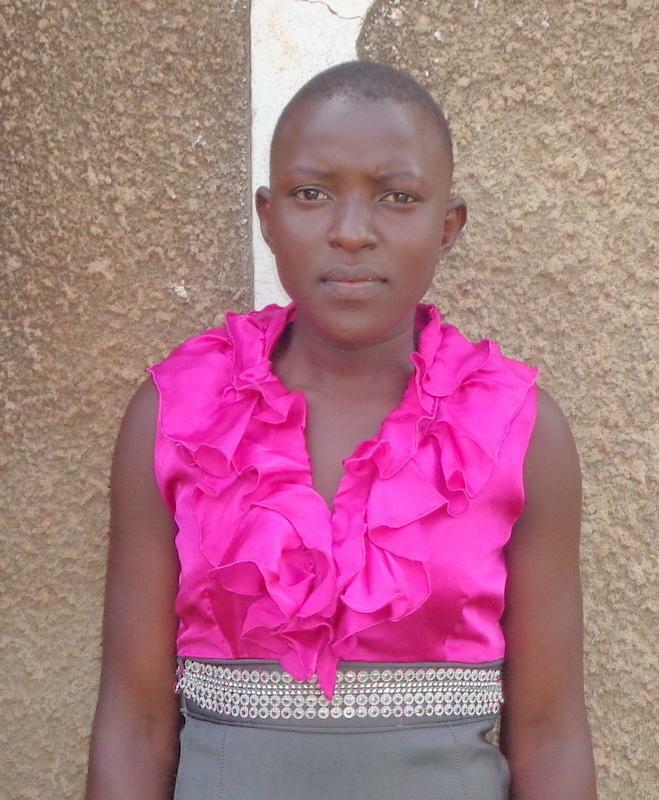 Sarah is 18 years old and lives in the town of Njeru in the Njeru region of Uganda. For the past two years, she has been working hard to manage her clothing business, which sells dresses, tops, t-shirts, shorts and underwear to earn her a living. To help expand her business, Sarah has requested a loan of 1,200,000 UGX from BRAC Uganda. The loan will be used to stock more clothes to increase what is available to sell to clients, and will help Sarah to generate greater profits. Her business will expand and with the increased profits, she can afford basic needs and clothing and can support her siblings, thereby improving their standards of living. In the future, Sarah hopes that she will be able to buy her own piece of land, construct a family house, and establish a retail shop. Sarah is a member of BRAC's Empowerment and Livelihood for Adolescents (ELA) program. In addition to microfinance loans, the program provides both a safe place for young Ugandan women to take part in group activities, and a forum for life-skills training. It offers training programs in life skills for young women. This loan is part of BRAC Uganda's Empowerment and Livelihood for Adolescents (ELA) program geared toward helping young women realize their full potential. The comprehensive curriculum of the ELA program includes training in life skills and the creation of adolescent clubs for ELA participants to discuss social issues and play games. Older ELA members are offered training in specific income-generating activities and can receive microfinance loans to support their enterprises. The ELA program has expanded rapidly since the beginning of 2008. Today, there are over 1,000 adolescent clubs reaching more than 40,000 young women across Uganda. This loan is administered by BRAC Uganda, a registered non-governmental organization (NGO) in Uganda that is also a part of the BRAC international network. BRAC Uganda attempts to address poverty through a holistic model, offering programs in education, health, water & sanitation, agriculture, and microfinance. BRAC Uganda’s microfinance program aims to provide the poor with easy, reliable, and efficient access to institutional financial services, and reaches over 150,000 families in Uganda. For more on BRAC Uganda, please see our partner page, and join our lending team, Friends of BRAC Uganda. Since 2006, BRAC Uganda has become the largest development organization in the country and a major provider of microfinance services for the poor. Through its large footprint -- including 89 branches operating in 39 districts -- it offers credit products that serve various sectors, including agriculture, livestock and poultry, health, adult and youth education and more. To date, the organization has served more than 150,000 clients. BRAC Uganda collaborates with different international organizations including UNHCR (the U.N. Refugee Agency) to provide microcredit to returning refugees in the Pader district of Northern Uganda. The loans have helped more than 1,000 borrowers resettle in their home villages.